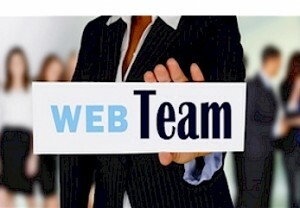 Established and growing, we are an experienced team of professionals with over 16 years experience, specializing in Internet marketing, website design, search engine optimization, social media, website repair and I.T. services. Every client has our undivided attention to their desires and needs; in addition, we are committed to excellence in the service that we provide! Creative and innovative, every member of our team is continuously improving upon knowledge and skills. In order to offer the best possible service to our clients, we are dedicated to keeping pace with the constant evolvement of technology. We love what we do and it shows! We love our website! Powerful Marketing Online was fast, friendly and very knowledgeable! Copyright 2011 - 2019 Powerful Marketing Online. All rights reserved. Copyright © 2019 Powerful Marketing Online. Powered by WordPress. Theme: Spacious by ThemeGrill.